If you aren’t sure whether boating is still one of the greatest outdoor passions to participate in, the National Marine Manufacturers Association (NMMA) has recently announced that retail sales of new powerboats are up roughly four percent in 2018 and at the highest total since 2007. Recreational boating currently contributes a little less than 2 billion to the U.S. economy too. The outlook for 2019 looks very promising. People continue to seek out activities on the water as a way to spend quality time with family and friends. 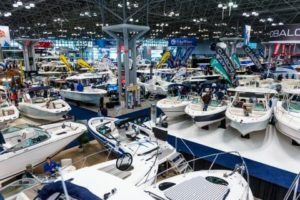 Also, marine manufacturers have introduced new products that attract consumers with different interests and budgets in the areas the watersports, fishing, and pontoon cruising. If you are on the fence about making a purchase and are wondering how many other boating enthusiasts you might meet while out on the water, these statistics let you know that you are in excellent company!